Ministers across the government are fighting for its public sector workers. It’s time for the civil service to have their own champion. The Government has officially lifted the public sector 1% pay cap, yet FDA members have been left barely better off. In other areas, we have seen action and results. Ministers have fought for better departmental staff pay rises, and won. However, civil servants have been left behind – the poor relation of the public sector – with employers adopting civil service pay remit guidelines and awarding below-inflation 1.5% raises. Cabinet Secretary Mark Sedwill has described the civil service as “brilliant.” But what is this brilliance worth? Recent discoveries show that the SCS’s pay gap is widening. When can these employees expect fair and equal reward? This is why the FDA is calling on the Minister for the Cabinet Office, David Lidington, to be the civil service’s champion. We are asking him to stand up for civil servants, and to demand recognition for their hard-work, their creativity, and their ability to keep the nation running. In turn, we are asking you to join our call, and send David Lidington a message. The FDA have created a pre-printed postcard, asking the Minister for the Cabinet Office to be our champion. All you have to do is sign the postcard, put a stamp on it, and hand it in to your branch rep, or alternatively pop it in a post-box. We will gather postcards from all the different departments at FDA HQ, and will then present the entire collection to the Minister for the Cabinet Office. You can get a copy of the postcard from your local rep, and one has been included in the Autumn 2018 issue of Public Service Magazine. Each signature further demonstrates the strength of feeling within the civil service. Every postcard further pressures David Lidington to recognise his responsibility for civil servants, and to act on their behalf. Take part in our campaign, and spread the word. 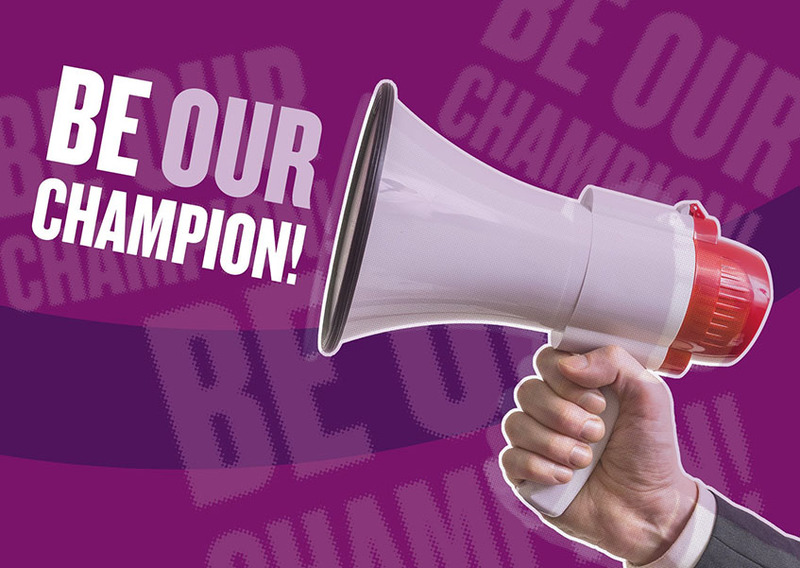 Tag @DLidington in a photo of yourself with a postcard on Twitter, and use the hashtag #BeOurChampion to add your voice to the conversation. Ask your colleagues to send their own message – you can find more postcards through branch reps. You can also sign our petition. You perform a vital role in ensuring that public services are delivered, and you should be both valued and rewarded. Help us ensure this happens: fill in and send off your postcard today.